---Special Title: Critical Point Breaker. Place of Living: The European Black Order head quarters. Appearance: Kanda is a young and handsome Japanese teenager usually found in any mood that is not positive. Kanda has long black hair (dark blue in the anime), which the mangaka notes that he uses soap to wash. Lavi comments that Kanda is a "pretty-type character", and Allen occasionally calls him "girly face"; a policeman in volume 19 also called him a "pretty boy". He also has been commented that he has "dark eyes" by the head of the Asian branch (nine years ago) and he has blue eyes in the manga while they appear brownish gray in the anime. Kanda seems to be conceited over his hair, showing great disgust when Lavi tried to braid it (be it noted that this is only in the anime). During the Edo Arc he trades in his old uniform for the Edo Arc uniform, however afterwards remains in it instead of trading in for the 3rd uniform. Weapon Appearance: Kanda has a sword with supernatural powers. He runs his index and middle finger through the back of the blade to activate it, whilst saying Mugen Unsheathe, Innocence Activate, which turns the blade silver. The shape of the sword has changed throughout Kanda's Timeline, during his childhood, it takes the form of a small butcher blade with multiple small wings on the hilt, upon Kanda's introduction in the beginning of the series, it took the form of a chokuto (a straight Japanese sword without a tsuba) with a black cross-emblazoned hilt and sheath, but after his battle with Skin Boric, it was reforged into a traditional Katana. Weapon Abilities: -Kaichū: Ichigen (界蟲「一幻」 English dub: Underworld Creatures, First Illusion, lit. Hell's Insects: First Illusion): Kanda swings his sword and releases a small swarm of supernatural creatures that devour his opponents. -Nigentou (二幻刀, lit. Double Illusion Blades): Kanda covers his sword and scabbard in a coat of energy and generates an energy blade, creating two impossibly sharp weapons. The second blade that he creates over his scabbard can also be just a pure energy blade if the scabbard is not used. -Hakka Tourou (八花蟷螂, lit. Eight Flowers Praying Mantis): Using Nigentou, Kanda quickly slashes the enemy eight times. The slashes collectively resemble a flower. -Shouka (昇華, lit. Sublimate): Kanda activates the power of his tattoo, and his pupils change into three dots. Veins also rise around his eyes. Once Shouka is activated, Kanda can activate Sangenshiki. -Sangenshiki (禁忌 「三幻式」, lit. Three Illusions): Kanda drastically increases his speed and strength at the cost of some of his life. -Consume, Mugen: Kanda reconstructs a broken Mugen by reconnecting the pieces with energy. Mugen appears to fall apart after one slash, however. -Bakuhakuzan (爆魄斬, lit. Explosive Spirit Slash): Kanda needs Sangenshiki to be active to use this, and makes a slash that seems to create small explosions and is strong enough to cut through a Level 4 Akuma. Kanda can also use it with the Fifth Illusion Style. -Fourth Illusion Style: Kanda's pupils changes to four dots and he gains another drastic increase in speed and power as shown by being able to severely damage Alma Karma. Abilities: nhanced Artificial Regeneration: Kanda can recover much faster than ordinary humans and is able to withstand the blood of Akuma due to a secret skill created by the Chan family. He is seen being able to rebirth after death ("approximately during 580 seconds", [Chapter 189]),regenerate lost limbs, and even survive a crushed skull. His blood is also enriched with healing power, even allowing him to accidentally save fellow Exorcist Noise Marie from a wound that had been deemed fatal. Physical Prowess: Kanda is noticeably much stronger than the average human; while his Anti-Akuma weapon does enhance his power, when none of its abilities are activate he is able to cleave Akuma in half using the blade alone. Speed: Kanda is faster than most other characters in the series and can leap beyond average distances, though this may be attributed to his regenerative abilities, where such jumps on normal humans would result in damaged ligaments in the feet. Expert Swordsman: Though his Innocence makes him already inclined to swordsmanship, Kanda is shown to be powerful with a blade in his own right. He has been seen using regular swords to hold off Akuma as evolved as Level Four, and can use various forms of Japanese swords without changing his fighting style. History:Yu was originally an Innocence Accommodator and Exorcist of the Black Order, but he was killed by an Akuma. There was also a woman in his life whom he loved. Yu was "reborn" (chapt 190) a second generation Exorcist, created by the Order, nine years previous to the current events of the story through the efforts of the Epstain and Chang families. His body was modified to heal incredibly quickly in order to sustain synchronization tests. He regularly underwent a shockingly cruel and painful procedure to force them to be able to synchronize with his Innocence, literally tearing him apart in the process. Due to his second exorcist strength and ability to regenerate, the procedure was repeated even after he had "died" several times. Although initially extremely hostile towards Alma Karma, another child of the second exorcist program, the two eventually become close friends due to their shared experience at the hands of the Order. Yu begins seeing an illusion of a woman who Alma initially assumes is Fou, the guardian deity of the Asia branch since she had appeared to Alma whilst he was distressed following syncro-testing. He also starts to dream of her and of his death at the hands of an Akuma. The Order realize this and decide that they should terminate Yu from the program. Alma hears this conversation and rescues Yu although he is captured by CROW guards in the process. After landing in a sewer he is washed up in front of a younger Bak Chang and Noise Marie (chapt 191). Eventually after a brief exchange Kanda was taken by the members of CROW to be "terminated" for learning the truth about the Second Exorcist program. The "procedure" proves a failure as Kanda's past memories of an unknown woman reanimate him and allow him to summon the Innocence of Mugen in a sword form which he uses to free himself. As he is escaping he finds an injured Marie and while examining his wound, his blood starts to heal Marie. Kanda decides to take Marie with him in his search of Alma but upon finding him discovers that Alma has killed the staff of the Asian Branch and the members of CROW with his own newly-acquired Innocence. A battle ensues between a psychotic Alma and Kanda resulting in Yu's arm being cut off. As Alma explains his reasons for murdering everyone he attacks Marie and impales Kanda, leading him to find the resolve to deal a menacing blow to Alma. 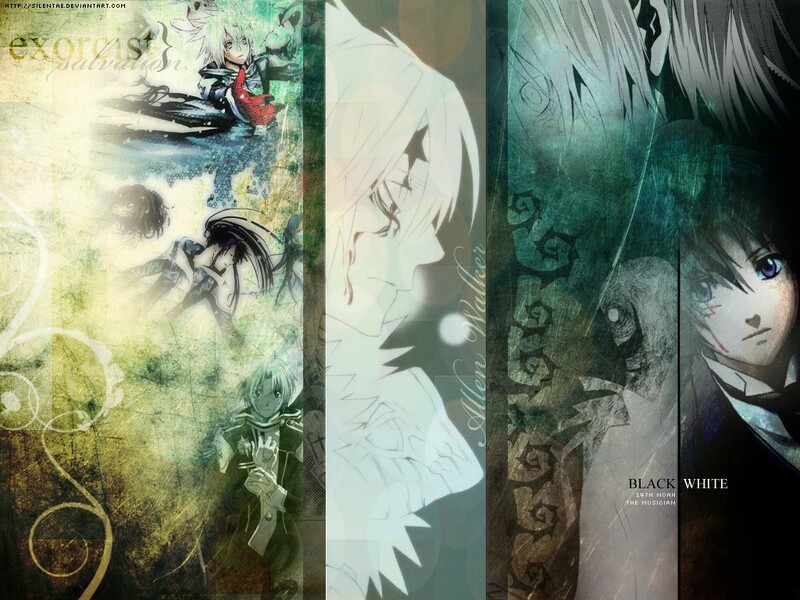 Kanda is introduced into the series when the gatekeeper of the Black Order mistakenly identifies Allen Walker as an Akuma. Kanda, the first to respond, attacks Allen and damages his left arm (Allen's Anti-Akuma weapon). After questioning Allen about his arm, Kanda attacks again, only to be stopped by Lenalee Lee. Allen then attempts to introduce himself civilly, but Kanda coldly brushes him off, stating he doesn't want to shake hands with a cursed person. Allen later clashes with Kanda again, this time over Kanda's insensitive treatment of the Finders, and their mutual dislike grows. To both Allen and Kanda's dismay, they are paired with each other for Allen's first mission (which is to find a piece of Innocence in Mater, Italy). They are accompanied by Finder named Toma. Upon arrival, they find that the Finders there have been killed by an evolved Level 2 akuma. Allen takes on the akuma while Kanda heads off to retrieve the Innocence, which allegedly serving as the heart of a living doll known in rumors as the Ghost of Mater. Kanda finds the Ghost of Mater named Guzoru, who is apparently accompanied by a young girl named Lala. Unfortunately, the they run away as soon as Kanda's attention is diverted. The akuma badly wounds Kanda, and jeers at him to "die already." Kanda seems to die after saying, "Die? I... I can not die before I find that person." But then Allen knocks the akuma away with his Innocence in a rage, and realizes Kanda is still alive. He then takes Kanda and Toma in a search for a place to rest, and unwittingly chances upon the Ghost of Mater and Lala after following the song he hears Lala sing, overhearing their conversation. The conversation reveals that Lala is the doll, the Guzoru is in reality just a human with a badly disfigured face. Kanda, who awakens wants to take the Innocence immediately, against Lala and Guzoru's wishes; however, Allen objects to this idea. They argue until the akuma appears, stabbing Lala and Guzoru together. Allen attacks the akuma, but just when it seems like he's about to win, his weapon rebounds. However, Kanda steps in (despite his own injuries) and protects Allen, and they destroy the Akuma together. Kanda's wounds, though serious, heal in three days (to the great surprise of hospital staff), and he departs on another mission. Kanda next appears in the company of his teammates, Noise Marie and Daisya Barry. When Daisya is killed by Tyki Mikk, Kanda and Marie continue on and find their master, General Froi Tiedoll, who is searching for people compatible with Innocence. Together, the three of them travel to Edo to help General Cross Marian's group fight the Millennium Earl. Kanda arrives in time to save Chaoji and Lenalee from Tyki Mikk. After the battle, when Lenalee is kidnapped by Lero, Kanda enters the Ark with Allen, Lavi, Chaoji, and Baron Arystar Krory III to save her. Inside the ark, Kanda engages the Noah Skinn Bolic in a one-on-one battle, allowing the others to go ahead. He promises Lenalee that he will survive and carry on, but it is his own desire to live that wills him to survive (maybe backed by his wish to find the person he's mentioned before). After an intense fight, he defeats him, but at the cost of some of his life after invoking his third illusionary style. Mugen is also shattered in this battle; however, it is only broken into fragments, not destroyed like Allen's was, so Kanda is able to remain as an Exorcist (later, in a comic manner, the shattered Innocence of Kanda and also Lavi are shown in burlap bags awaiting Komui's repair). However, Kanda is too late to rejoin the others, and he is "lost" as the Ark collapses. Later, when Allen restores the Ark, Kanda (along with the other "lost" exorcists) are revived. Upon his return to the human world, Kanda is forced into the infirmary with the other Exorcists. He tries to leave, but General Tiedoll makes him stay. After a while, he is released, and he returns to his own quarters. When the Level 4 Akuma attacks headquarters, Kanda protects Komui Lee with a normal sword, since Mugen has not yet been repaired. He had also protected Komui by covering himself over Komui when the Level 4 Akuma attacked, but quickly recovered. Joined by Lavi and Allen, he fights the Level 4 with everything he has, taking a lot of damage in the process, in order to save Komui, Lenalee, and Hevlaska. When Allen holds back an attack from the Level 4, Kanda and Lavi both grab onto Allen's sword to help. After the battle is over, Kanda is seen sword fighting with Allen in a bet where the loser of the fight has to cut off his hair. Later, he is seen as a child, just like Lavi, due to the effects of a potion found during the HQ moving process. Kanda starts acting even more coldly towards Allen after learning that he is The 14th and even Allen makes note of it. However, this could have been an act because he later gets along a little better with Allen as he and Marie accompany Allen and Link to investigate the boy named Timothy. He even shows concern for Allen, when Allen's own Innocence harms him, which causes the 14th Noah to temporarily take over his body. Instead of killing Allen when it looked like the Noah would take over, he calls Allen "beansprout" in order to help him regain control. Kanda goes back to Headquarters and sees the Third Exorcists when they attack Allen. Kanda is then called to the Asian Branch by the sword smith, Zhu, who wishes to talk with him. Kanda instead encounters Bak, and they have a conversation about Kanda's past while For is looking for Zhu. Kanda then has a short flashback of himself as a child while Zhu is talking to him. A part of his conversation with Bak involves him being a second exorcist created by the Order in a "synthetic disciple project" that Central came up with. While on a mission, Waizurii (the 5th Noah) appears in front of him atop a pile of dead bodies. When Kanda asked, "who are you?" before challenging the Noah, Wisely says the name "Alma" which shocks Kanda. Kanda loses to the Noah and is dragged to the North American Headquarters. Before the invasion of American HQ order members of the science division were assembled in the building for a meeting on the Third Exorcists. During this meeting a portion of Kanda's backstory was shown when Teacher Zhu sees the body of Alma Karma (stated moments earlier to be the first womb of the Third Exorcists). As Zhu argues with Malcolm, he claims they should have told Kanda that Alma was alive. He later states the two were friends who they then made "fight to the death". Having invaded the headquarters the Earl and Noah line up the surviving members. Amongst this line up is Johnny and Reeve, who notice a motionless Kanda on the ground before them. The Earl and Waizurii (both seeming to know about Kanda's past) then put their plan in motion stating to the order members "You will be killed by the demon that you yourself created". At this point Kanda appears to regain consciousness and see the image of a person beneath him, he then has flashbacks to when he first met a child named Alma. A bird's eye shot shows him kneeling over the body surrounded by flowers. Moments later Allen arrives only to have been baited into what seems to be a trap. In chapter 189, while Allen fights with the Millennium Earl, Kanda aids him but is fought off by Tyki. After an explosion, they see that Waizurii and the Noah family brought out Alma. Kanda then asks "Who the heck is that? ", shocking everyone. Zhu states that there is no way Kanda does not recognizes Alma, but when Road mentions it is Alma, Kanda gives her a menacing look and replies "He's dead." Road continues to taunt him, while Wisely creates an eye under her. Allen and Kanda both looking at her, see it, and appear to be sucked into some other dimension where Kanda's past was being unraveled in front of Allen and Road. In the latest chapter, it is revealed that Kanda, Alma, and the other "Second Exorcists" were, in fact, created by transporting the brains of dead or dying Exorcists into artificial bodies in order to see if the compatible Innocence would be carried over to the substitute body. After managing to escape the cryogenic sleep by synchronizing with Innocence, Kanda leaves and finds Noise Marie unconscious on a table. Kanda manages to heal and wake him up with his own blood (accidentally). He then saves Marie and attempts to escape the base but thinks of Alma and goes back for him. He finds Alma among the mass of dead scientist and Crow corpses, Alma having just murdered Edgar. Kanda questions why and asks whether Alma's memories have awakened or not. Alma then states he must kill Kanda too and attacks, cutting off Kanda's arm. After Alma states they can die together, Kanda finds his resolve and decides he does not want to die, even if it means killing Alma. Kanda delivers two devastating blows to Alma striking him down and apparently "killing" him. After witnessing this, Allen snaps (because Yu was letting himself being used) and punches Kanda in the head with Crown Clown, sending him spiraling out of sight. However his memories awoke Alma's hatred and subsequently Alma himself. Alma's awakening blows the entire Branch. Kanda is lost in the explosion with everyone else present, minus Alma who calls out and asks if Yu is there in the debris. Yu survives the explosion and turns to Alma who has now become a fully fledged Akuma. As Alma continues to taunt Yu about his continued survival and the friends he has made, Yu activates his Innocence and attacks with Third Illusion. After more taunts from Alma, Kanda activates Fourth Illusion. His iris's gain four pupils in them and he suddenly and severely strikes Alma. Allen berates him for fighting so seriously. When the Millennium Earl asks Allen to join him, he mentions that if Allen joins, he will eradicate the dark matter within the Third Exorcists and Alma. Alma says that he does not care about dark matter, and he "just wants Kanda to die." Alma then attacks Kanda and stabs him twice. Lotus flowers appear everywhere; one is shown wilting. "That person" appears and says, "I will wait for you...I'll wait forever..." Kanda smirks, and Alma asks him what he is thinking of. Kanda activates Fifth Illusion and cuts off Alma's arm and leg. Alma smirks and hurts Kanda. Kanda then repeats "destroy" over and over again and prepares to attack Alma once more. Allen, however, intervenes with his Crown Clown. Kanda glares at Allen and asks him "what mockery is this?". Since Allen, instead of answering, tries to find out why Kanda is having such an ominous expression, Kanda snaps and attacks both Alma and Allen with "Fifth Illusion Style: Ripping Flash Claw", injuring the latter seriously. He continues attacking Alma cruelly. At that point, old man Zhu states that Kanda's hair have turned light purple because he has sublimated his soul too much and that he is going to die. Alma attacks with a heat ray and gets Kanda right in the chest. The force of the continual blow is so immense that Kanda's skin starts to melt away. Alma pleads Kanda to use up all of his regenerative ability and die right there. However, Allen intervenes again, while Kanda collapses. Alma's regenerative ability begins to wear of as well, and he falls to his knees. Kanda gets up and tries to kill him again, but Allen protects Alma. Kanda then battles Allen in order to get to Alma. At first, Allen also fights back, but is hit from the behind by an attack from Alma. Allen then notices from Alma's expression, and lets Kanda stab him, which makes Kanda pause his attack. Allen then tells him to look closely at Alma and asks him why he is making a conflicted, pained expression, before falling and his skin turning gray. Yu comes back to his senses but Alma still attempts to kill him. However, Allen's body begins to rise and blows both back with a shockwave. Alma, the worst for wear, crashes into a wall but Kanda catches him. They watch on as Allen begins to transform, the Earl informing Kanda he released the 14th by messing Allen up too much with his innocence; the Noah cannot forget their hatred of innocence. Allen's transformation is abruptly stopped as his left eye activates, and an illusion of Mana calling out to him appears. He awakens to see the soul within Alma, which is actually the woman Kanda has been searching for. Alma screams for Allen not to say it and in a last attempt to kill Kanda, Alma begins to self destruct. He cries out "Why, Alma?!" to Alma as Alma detonates. As the smoke clears, Kanda's body crumbles to the ground. Sheril notes that to be adequate revenge for Skinn Bolic, while the Earl muses how Kanda, who prided himself as a powerful member of the order, was so "brittle" before Alma. As he begins to regenerate, he calls to Allen, saying "Beansprout," while Alma's soul begins to be eaten by Dark Matter. Allen assists Kanda in reaching Alma, asking him to open a gate to where they had their first mission, so he and Alma can be at peace there, giving Mugen to him. Before he catches Alma, Allen calls him and says that Kanda is the only one capable of helping Alma. In response, Kanda smiled at him and says "Thank you. Allen Walker." He then catches Alma and tells him they will get away from innocence and the church together. Alma cries happily, their childhood bond reaffirmed. However, Kanda also sheds tears as he and Alma fall through the gate, knowing that Alma doesn't have much time left, and arrives at the underground stage that Lala had sung her last song on Allen's first mission. Kanda watches the Gate disintegrate, realizing that Allen has helped him stay alone with Alma for the little time they have left together. Alma, who is still alive, tells Kanda that the akuma, can tell that Allen is a Noah. Before Alma can say anything more, he thrashes around, and Kanda coaxes Alma, saying he should not say anything at the moment. Alma tells Kanda not to use his Innocence, but instead watch his soul disappear. Alma discusses how much he hates the Order for doing terrible things to both him and Kanda, but also talks of his guilt since he killed so many people as an Akuma. Kanda comforts Alma until Alma finally dies, leaving Kanda to watch the illusion of Alma and Alma's former self walk away in the distance, holding hands in the garden of lotuses. Just as Kanda continues to mourn, he hears Alma's voice confess that he loves Kanda, and a ripple in the lake of lotuses occurs. Kanda then smiles slightly before closing his eyes, still cradling Alma's body. After further investigation the order found Mugen covered in a strange rust, probably meaning that it has lost its compatibility. Because of this, Yu Kanda is presumed dead.